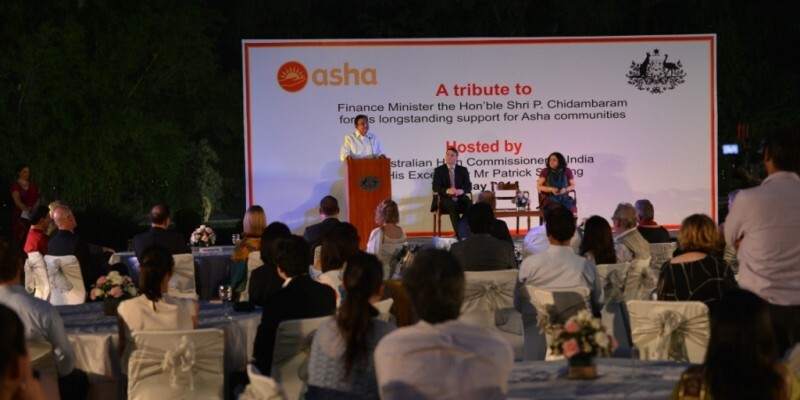 On 7 May, the Australian High Commissioner HE Patrick Suckling kindly hosted an evening to pay tribute to India’s Finance Minister, the Hon’ble Shri P. Chidambaram and his longstanding support of Asha communities. The event was attended by many Asha supporters including representatives from major banks and companies providing internships to Asha students. 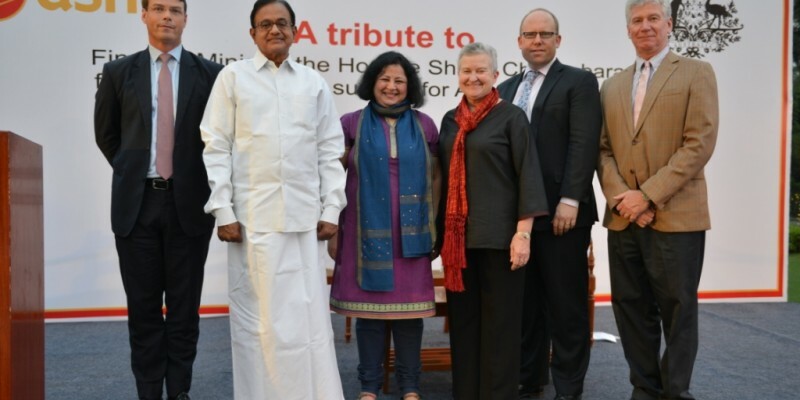 Also attending the event were the Former Union Minister Mr Mani Shankar Aiyar, the US Ambassador HE Nancy Powell, the Canadian High Commissioner HE Stewart Beck and the New Zealand High Commissioner HE Grahame Morton. 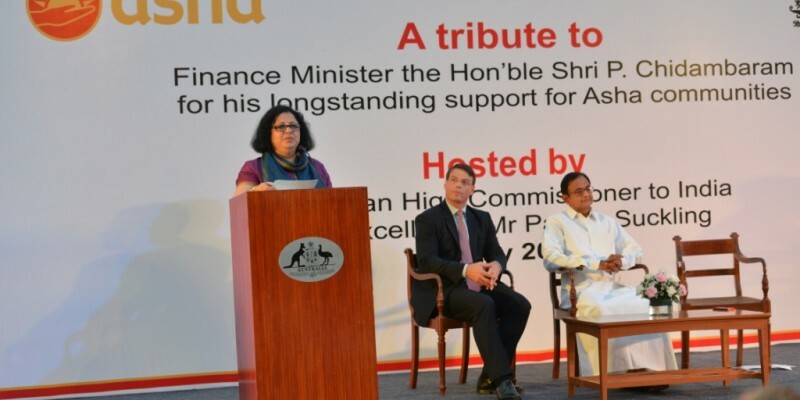 She also underscored the value of Mr Chidambaram’s personal encouragement to students in Asha’s Higher Education Programme and the many private sector firms he had attracted to help students gain internships. 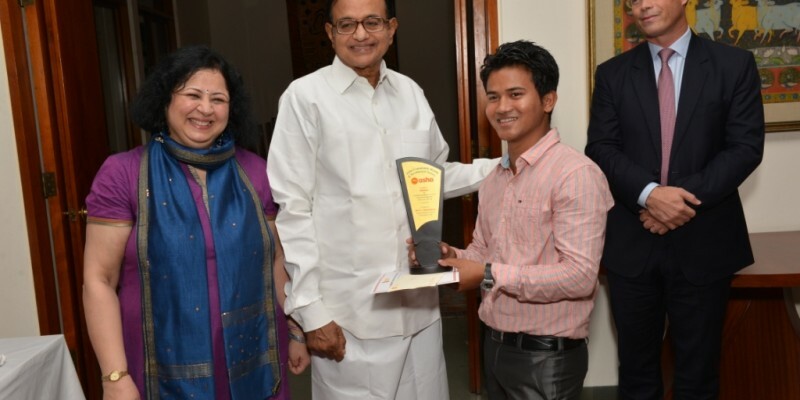 Mr Chidambaram further encouraged students by presenting 17 bright students with awards for outstanding achievement in Class 12, at college, upon graduation and during internships. 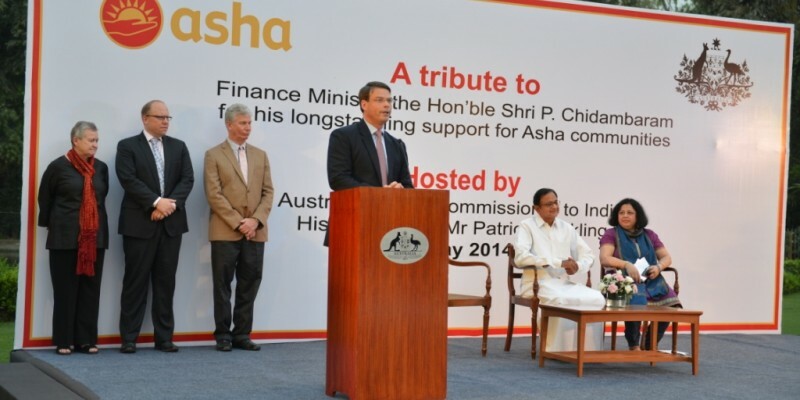 “I am truly proud of my association with Asha. What these children need is an opportunity and Asha is providing them opportunity so that they can excel in this unequal society, these are the children who have broken through the walls that kept them virtually imprisoned. These are the children who have broken free, their children will be equal to any child anywhere in the world.” said Mr Chidambaram. 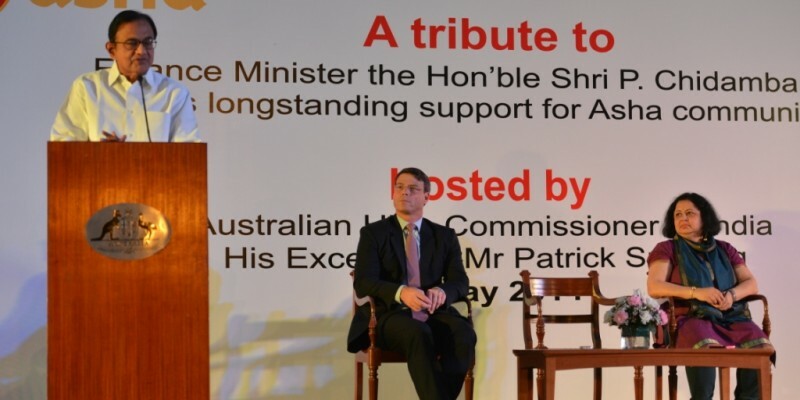 Reflecting on the amazing support provided by Friends of Asha groups in the UK, US, Ireland and Australia, Dr Kiran proudly announced the formation of the Friends of Asha Delhi, to be chaired by Mr Bernard Philip, Australia’s Deputy High Commissioner to India. The expansion of Asha’s support did not end there. Dr Kiran also announced six new organizations that will host students in the Asha Internship Programme in 2014 – the British High Commission, the International Rice Research Institute, the Lodhi Hotel, VFS Global, Gulati Imaging and Bohra’s NeuroPsychiatric Centre.